The 17-year-old Fifth Harmony member announced the news in an interview with Kiss 96.1 radio on Monday. Cabello and the 18-year-old star have been linked since last year, and just confirmed their relationship mere weeks ago. "We're actually not together anymore," Cabello revealed. She declined to give a reason for the split, but said the breakup happened "recently" and "things happen." A subsequent report on Hollywood Life claimed Mahone broke up with Cabello for going public with the relationship in order to sell albums, but both stars denied either person is at fault on Twitter. "@HollywoodLife that's the most ridiculous thing I've ever heard... Nothing like that even happened at all. Idk what source u guys talking to," Mahone wrote. "Guys guys. nobody is the bad buy here and nobody deserves any hate. lots of love goodnight," Cabello tweeted early Wednesday morning. Cabello came to fame as a member of Fifth Harmony, an all-girl group that was formed on the second season of Fox's "The X Factor." The group released EP Better Together in 2013, and have their first studio album, Reflection, in the works. 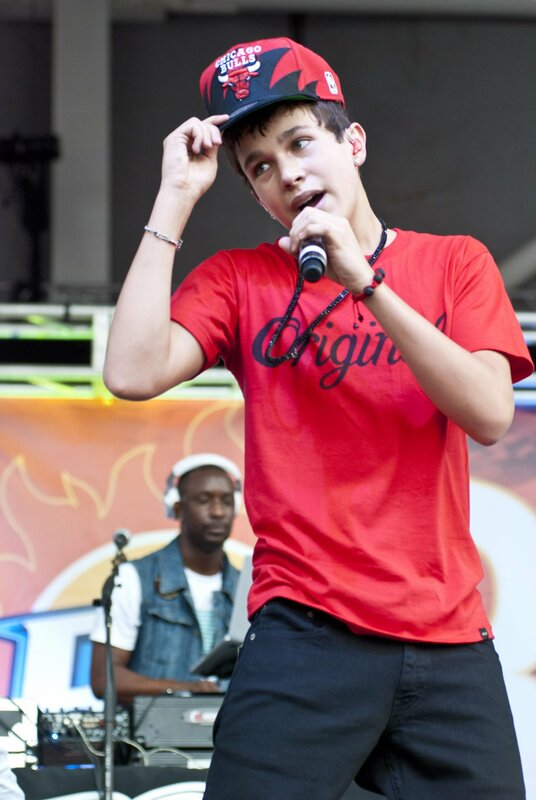 Mahone last debuted EP The Secret in May.